Years ago, while I was in high school, I met a missionary named Mark in Pearl River, New York. He was at the African Inland Missions summer training, preparing to fly to Kenya to begin his service. I volunteered for this 3 week training every summer, helping the missionaries’ kids in the nursery and cooking meals in the kitchen. It was always a highlight of my summers. Mark and I became instant friends, and began to correspond via airmail letters. (Do you remember those neat, foldable blue envelopes? Do they even exist today?) He was like an older brother and I always looked forward to hearing from him. It was fascinating to hear all of his stories on the field, both the challenges and the joys. I remember one particular letter, however, that made a deep impression on me and my desire to travel. 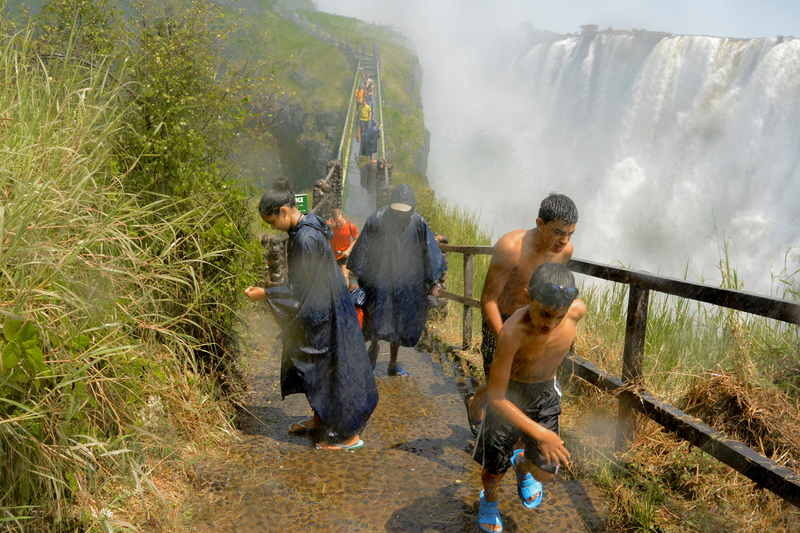 He described, in detail, an amazing visit he had had to Victoria Falls in Zambia. Oh…I forgot to mention that Mark is a very gifted writer, journalist, and photographer! You can imagine how beautiful his written description must have been. Somewhere, hidden in the depths of our storage unit in Chicago, I may have held on to this letter! I’ll have to look when we return. 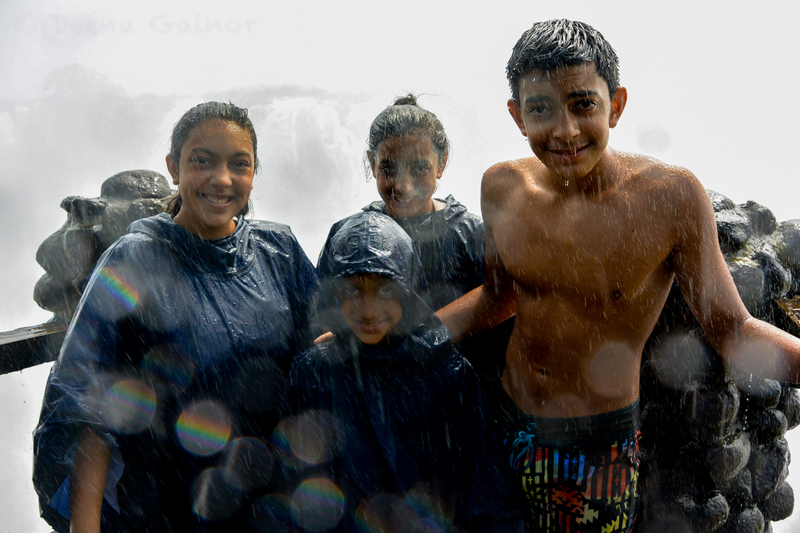 Anyway…since then, Victoria Falls has always been on my bucket list of places I’ve wanted to visit. Mark, we finally made it…and it’s just as beautiful as you described! Thank you for helping to plant that seed so many years ago! 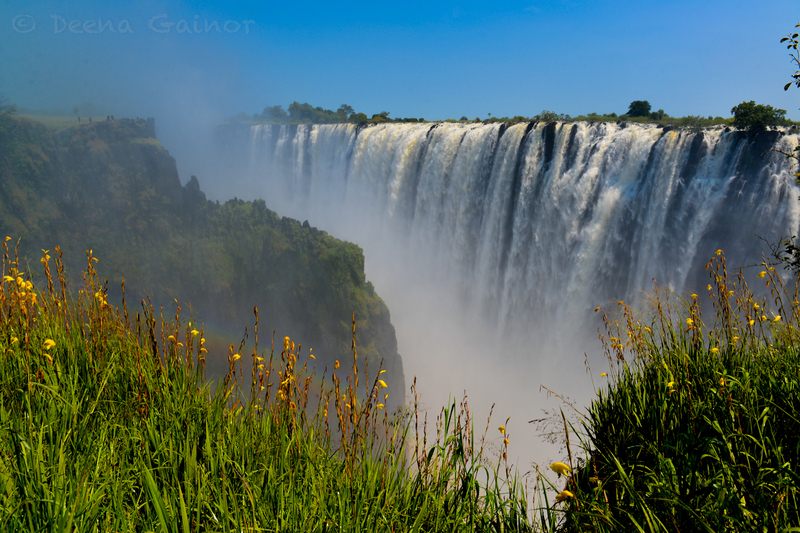 Above, the gorgeous Victoria Falls. 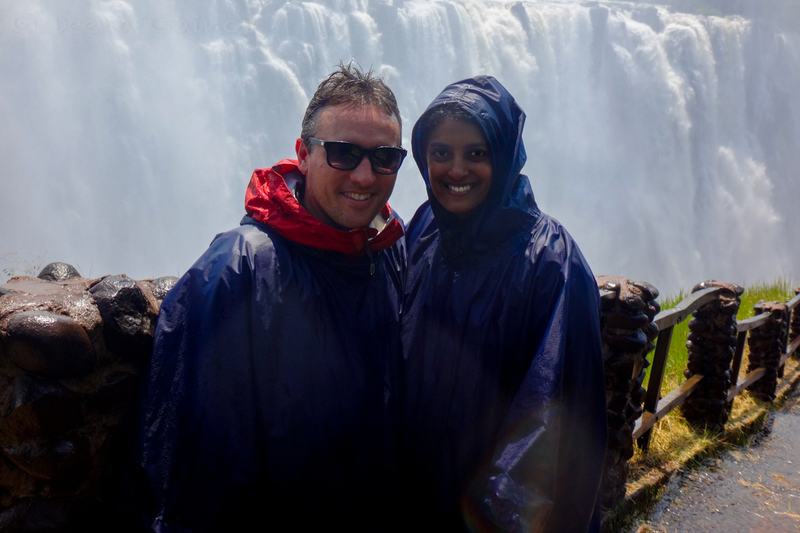 We were really excited by the beauty and grandeur of the Falls. 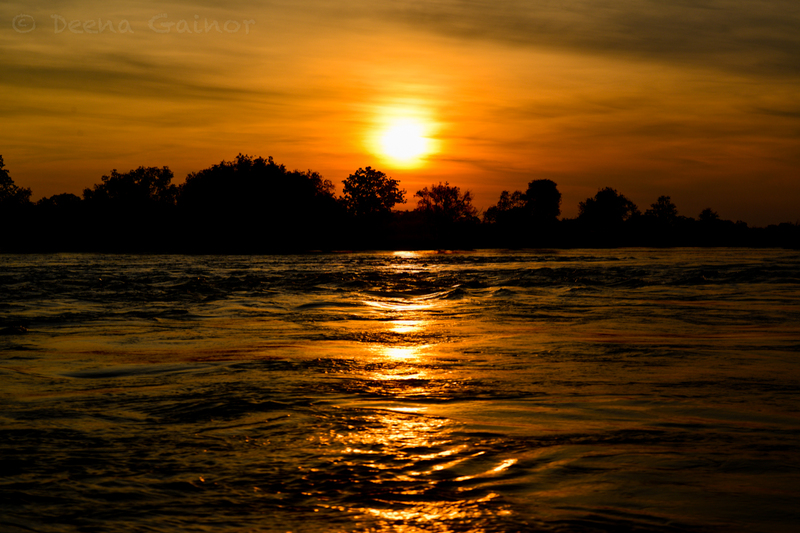 The sun was shining brightly, but there was constant “rain” as you walked nearer the gushing falls. 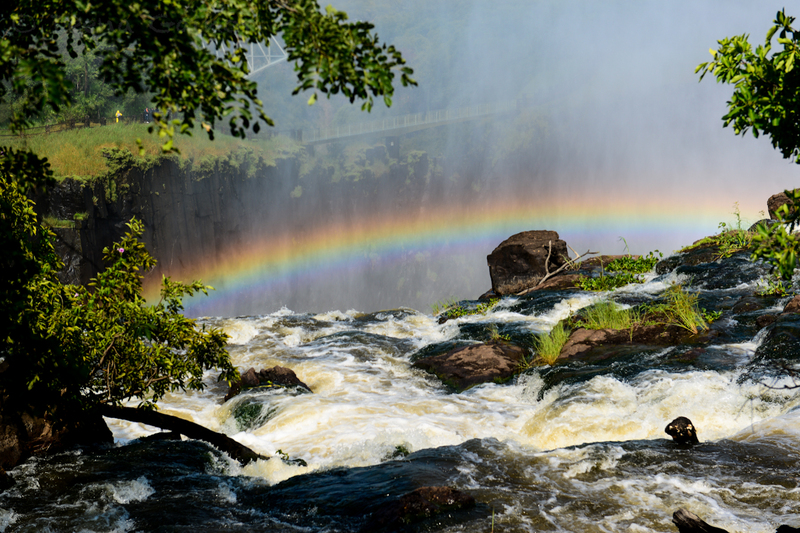 You have several trail options, and each one offers a new perspective on the Falls. 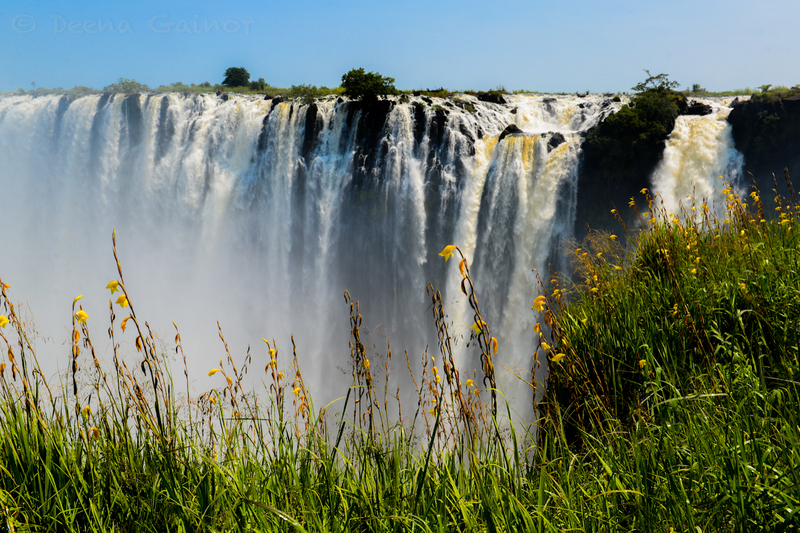 It was quite hard to capture the enormity and beauty of Victoria Falls! 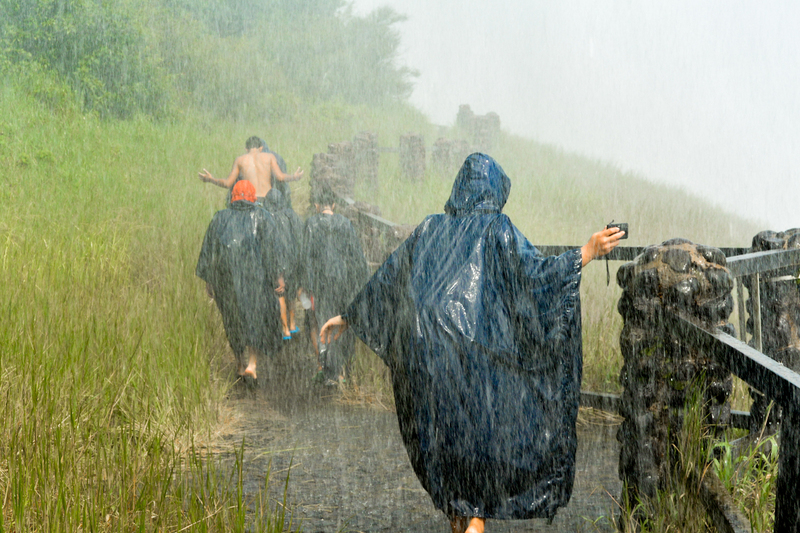 Ryan and the girls opted for rain jackets, but the boys thought they were unnecessary. They (wisely) wore swimming trunks instead! We could have stood here all day! Ah…one of the few shots I captured with all four kids standing still for a few seconds. Trust me, that is NOT an easy feat. And the rainbows! They were everywhere. If you look carefully, you’ll actually see a double rainbow here. Truly, God’s creation is unmatched! 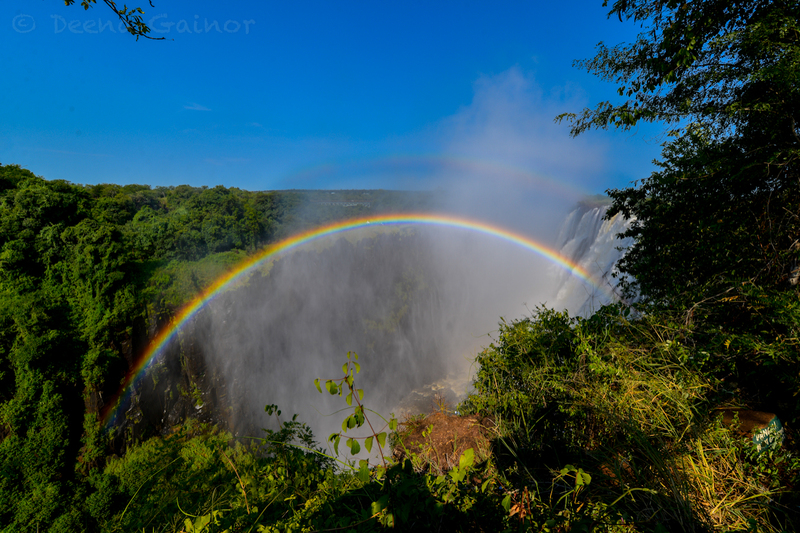 You can view Victoria Falls from either Zambia or Zimbabwe (Zim Zam as we affectionately call the two options). 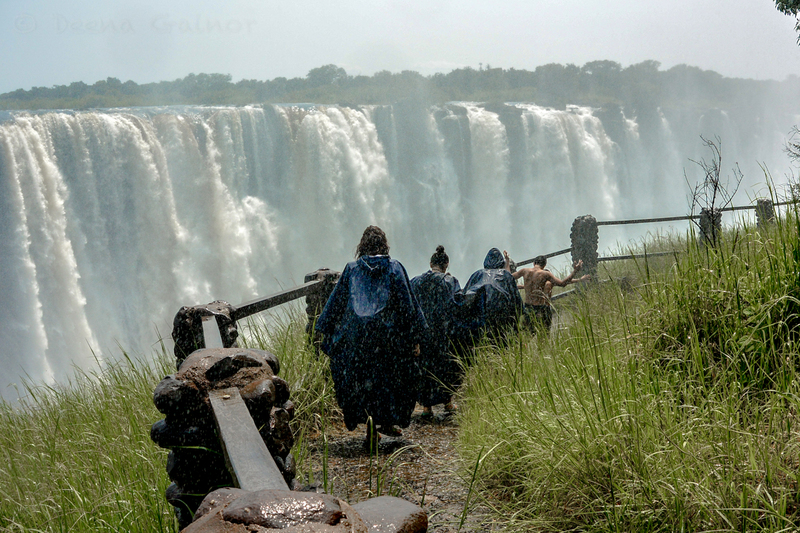 We flew into Livingstone to access the Falls. Make sure to have your camera handy on the flight, as you might have an excellent view of the Falls from the air. There are several fantastic lodges to choose from. You can either stay near the Falls or a bit further away. We chose to stay about 20 minutes away, at a Sanctuary Lodge, as we love their accommodations and service. 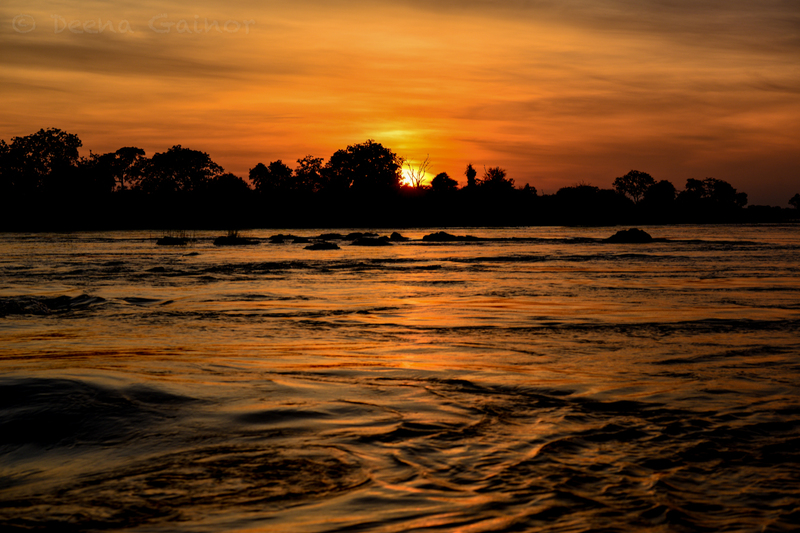 Plus, you are away from the hustle and bustle, and can enjoy a nice, quiet getaway, safari on the Zambezi River, and much more.